Daniel and I, despite our love of traveling, don't often go new places on real vacations... we usually take our days off to visit out-of-state family and often travel to the same spots over and over. So two weeks prior to our anniversary, when Daniel asked if I would be interested in a REAL (week-long!) vacation to DISNEYWORLD, how was I to say no? 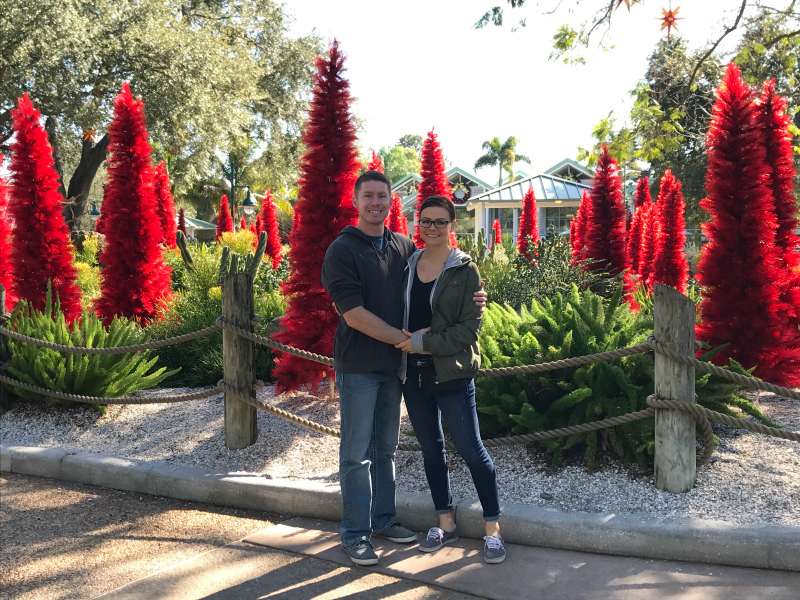 Everyone says that mid-December is the best time to theme-park in Orlando, so we booked our tickets on a whim! Three weeks later, after working seven 12-14 hour days in a row, we were on the plane with my brother-in-law and his wife on a little Rowe couple's get-a-way. 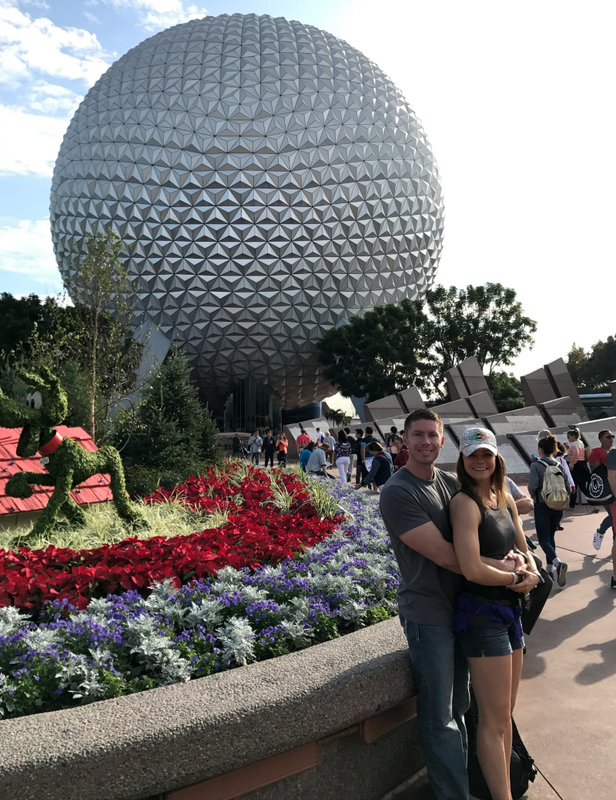 We arrived in Orlando on Monday evening and without even stopping to check in at our hotel, we drove our rental car straight to Shades of Green (an Armed Forces Resort) to purchase our military discount tickets for the week. We didn't miss a beat and headed straight for Magic Kingdom to catch some warm night-time weather and low ride wait times for a few hours before the park closed—and what a good decision that was! The longest line we ended up waiting in was maybe 20-minutes. We ended up hitting all the big ones—Thunder Mountain, Space Mountain, Pirates of the Caribbean, etc.—and literally would get right on them, get off, and get right back on. We snagged a traditional HUGE turkey leg and some Dole Whip along the way and just roller-coaster-ed our little hearts out. By the time we ended up at the hotel, it was 1:30 am and we were beat! Night 1 - Magic Kingdom. We slept in the next morning and woke up to pouring rain. 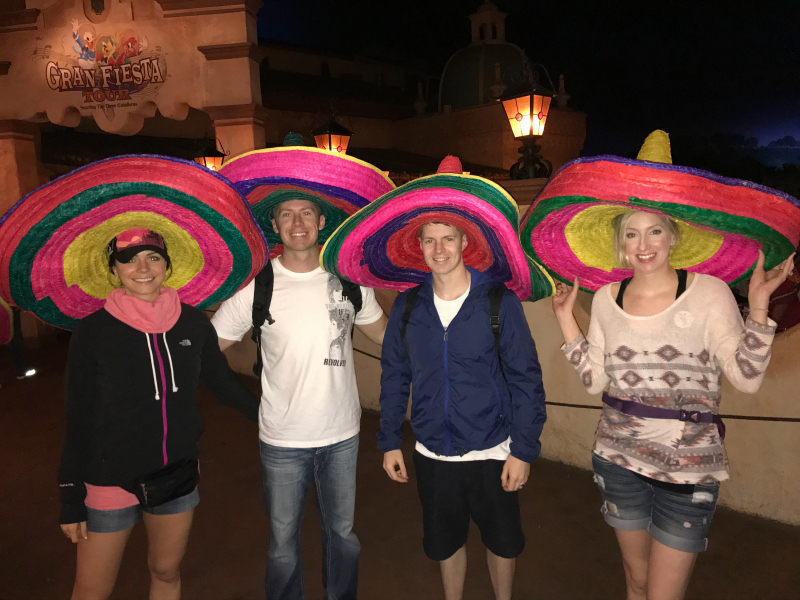 We threw on our hats and jackets and headed for Hollywood Studios. 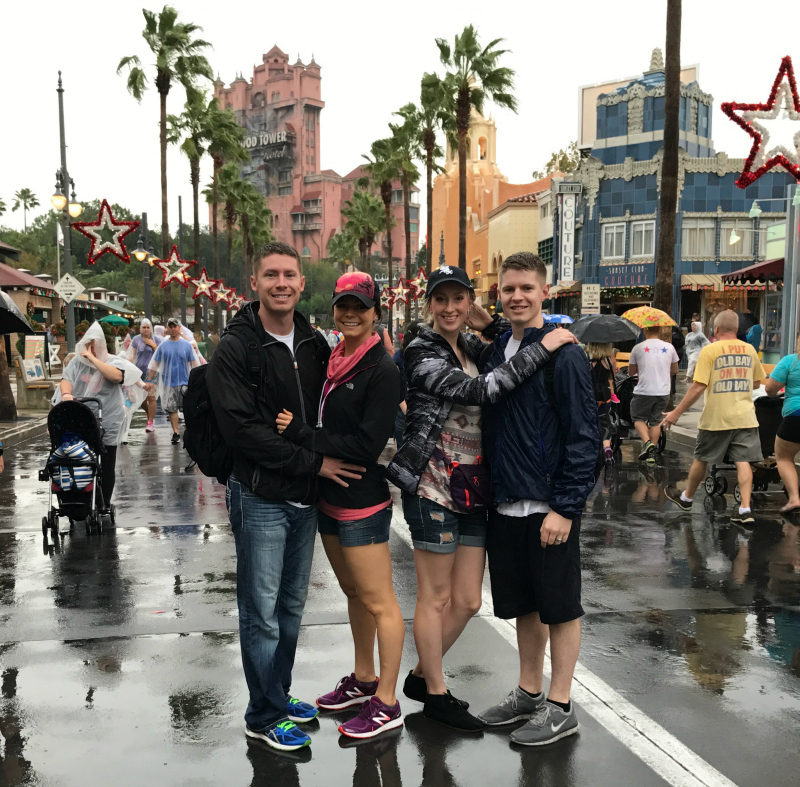 It turns out that rainy days are GREAT days at Disney. It seemed like we had the park to ourselves as we rode Tower of Terror, The Great Movie Ride, Rockin' Roller Coaster, and everything else we could find with no more than 5-minute wait times. Sah-weet! 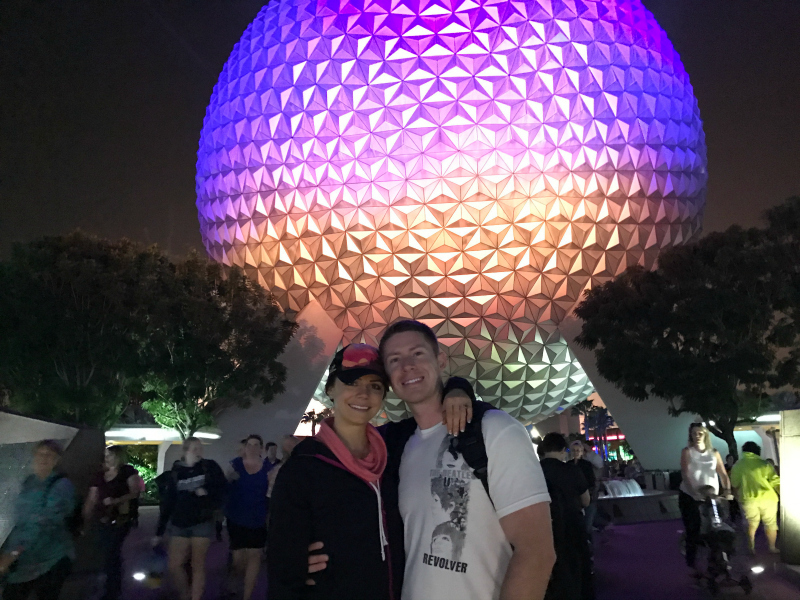 After we had our fill of the thrills, we took a boat over to Epcot to visit the different worlds and lands. We ended up catching some chips and salsa in Mexico, rode the Gran Fiesta Tour, and weaved in an out of every other country before stopping in France for a meringue and soft serve. We again closed the park down with their epic fireworks IllumiNations show. 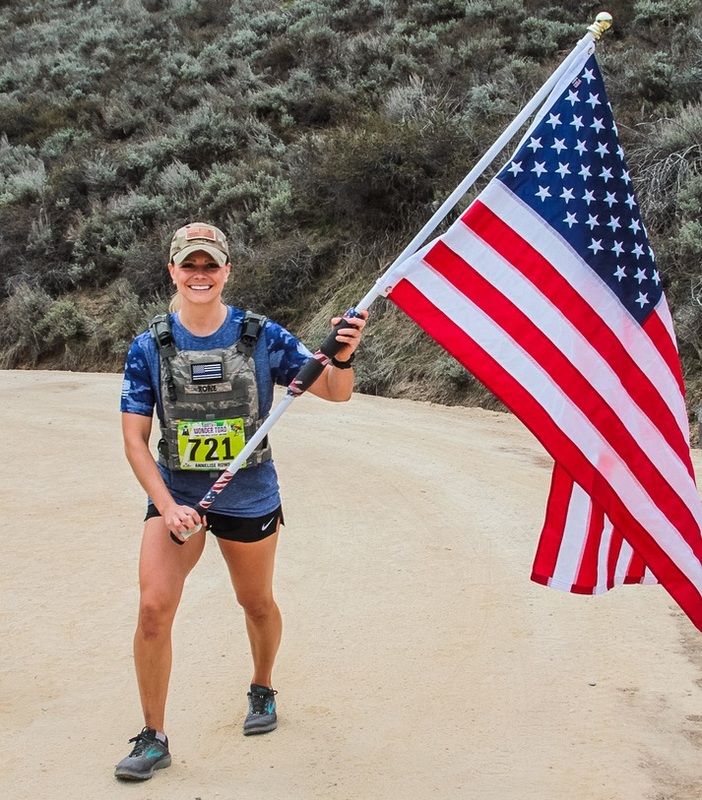 Talk about living every day to the fullest! Day 2 - Hollywood Studios. Day 2 - Taking a trip to Mexico at Epcot. 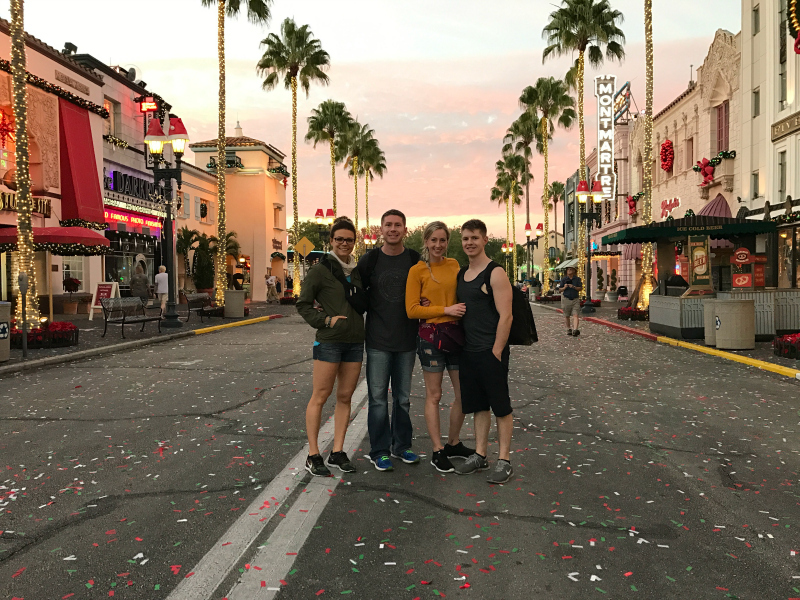 On Day 3, we were up bright and early to get to Universal Studios as the park opened. We figured it would be jam-packed with the new Wizarding World of Harry Potter, so we started the day off with the Escape from Gringotts ride. Surprisingly, we only waited about 5-minutes for the ride, and we were shocked to find out that the lines for the rest of the day would be similar—if not shorter! 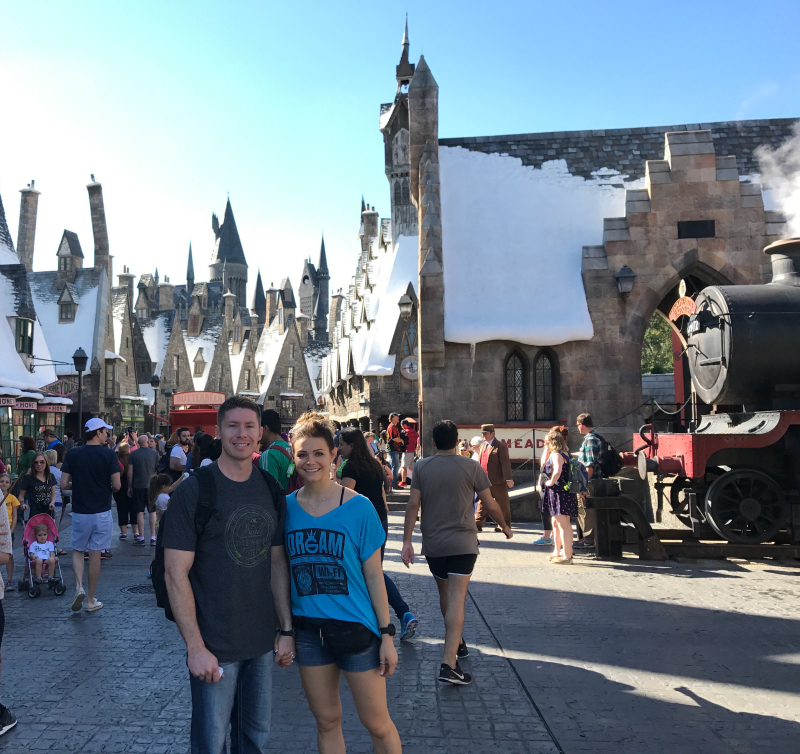 We did not hold back at Universal, bouncing between both parks and taking it all in. We rode Revenge of the Mummy, Rip-Ride Rockit, Dueling Dragons, Dudley Do-Right's Ripsaw Falls, Jurassic Park, The Hulk, ET Adventure, Doctor Doom's Fearfall, and Popeye's Bilge-Rat Barges (I skipped that one). Seriously—we rode ALL THE RIDES... and then some again and again! Of all the parks, I think Universal was my favorite simply because of the vast array of high-intensity rides and just how empty the park was compared to the Disney parks. We got so lucky! 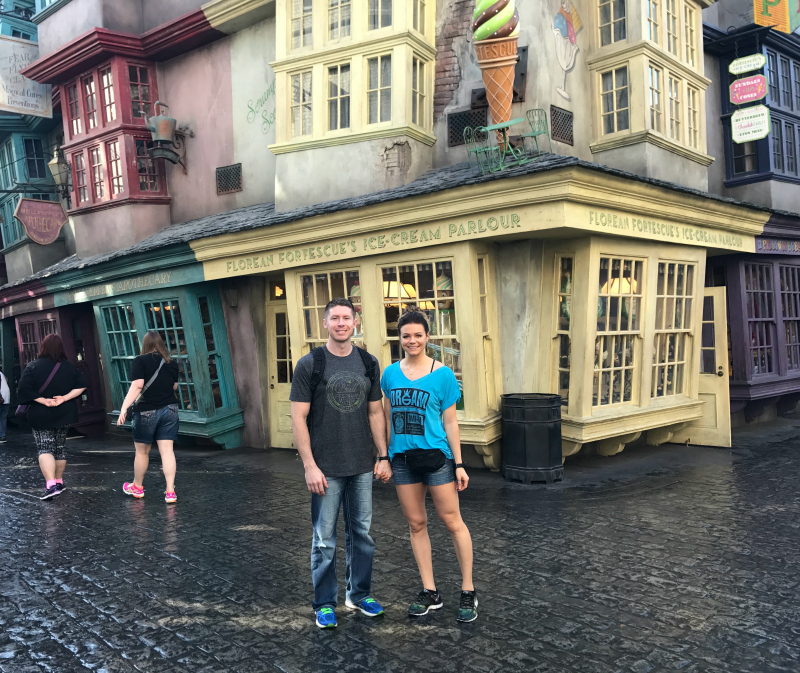 We ended up soaking in every minute we could there, finishing the evening by just wandering through Diagon Alley and enjoying treats from their Sugar Shoppe until the park closed. Day 3 - Universal Studios and the Wizarding World of Harry Potter at Diagon Alley. Day 3 - On the other side of Universal Studios at Hogsmeade. Lunch at the Three Broomsticks was so fun! 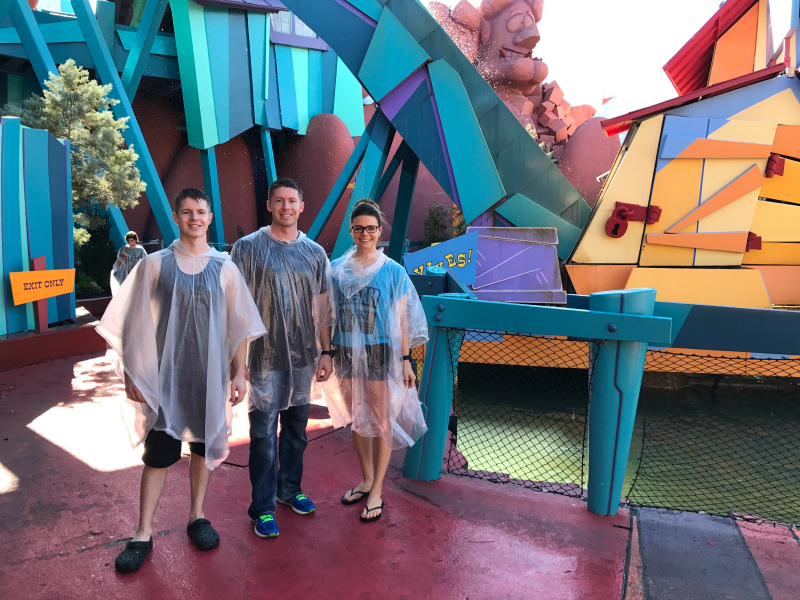 Day 3 - Universal Studios at Dudley Do-Right's Ripsaw Falls. Yes, I'm wearing my poncho on backwards... I rode with my hood on backwards the entire ride. 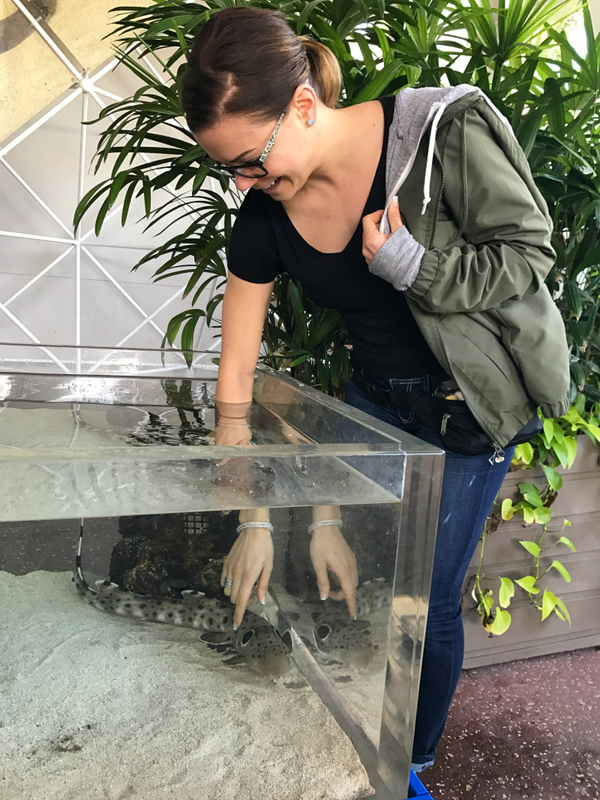 It was perfect—I didn't get wet and looked like a total dork! 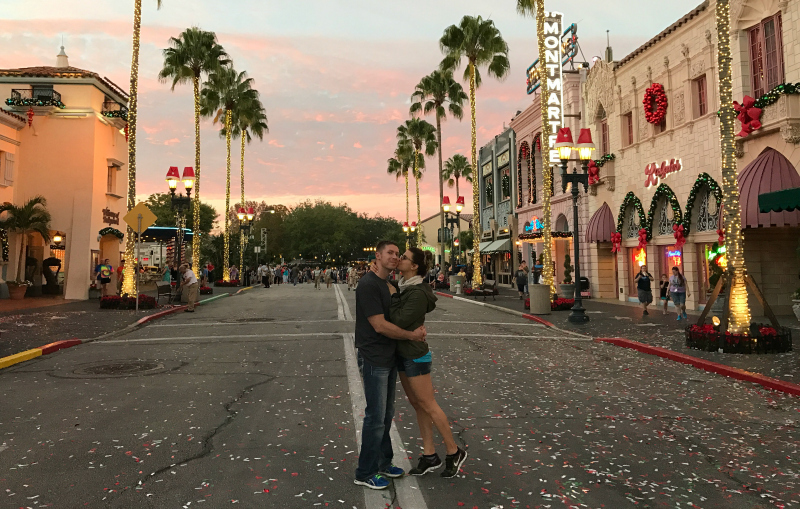 Evening 3 - A magical sunset and deserted streets at Universal Studios. We couldn't have asked for a better day there! A perfect end to day 3 at Universal Studios! Day 4 brought a repeat of Magic Kingdom and Epcot. 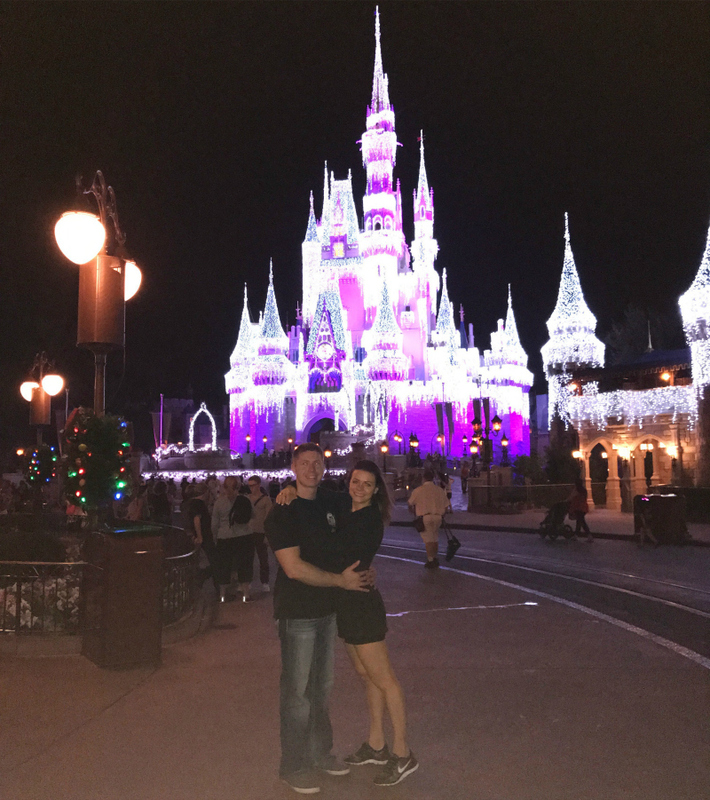 We arrived at Magic Kingdom when it opened and enjoyed some of the other rides we weren't able to hit on the first night. We went on the Seven Dwarfs Mine Train, "it's a small world," the tea cups at the Mad Tea Party, the Tiki Room, Country Bear Jamboree, Haunted Mansion, and then of course Splash Mountain and Thunder Mountain again. The cinnamon almonds in Frontier Land were a treat that held me over until we got to Epcot where I enjoyed some Norwegian Lefse—it didn't taste quite as good as my Grandma's, but it was truly a treat nevertheless! We again walked through each country and enjoyed the sunny weather and traditional food offerings. For once, we left before the park closed and ended up making it in time for happy hour at Landry's, which was a success in itself. Yum, that seafood was good! Day 4 - Back at Magic Kingdom for more rides! Day 4 - Epcot. The Norwegian Lefse was my favorite treat! We were up early on Day 5, heading to the Animal Kingdom for a new adventure. It was chilly that morning, so the park was relatively calm. 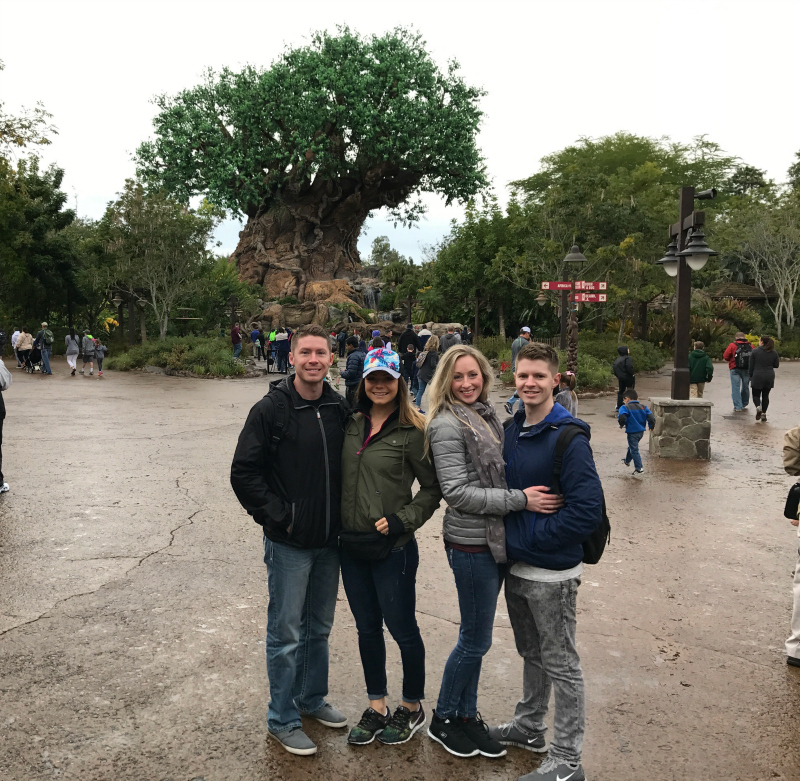 We rode Everest and took the Kilimanjaro Safari, and then watched the Lion King show and walked through every exhibit we could find. The detail that went into Animal Kingdom was just amazing—it truly feels like you're in a different world! By about 2:00 pm, we were experiencing some serious hunger pains, so we decided to end our park-hopping for the day and enjoyed a delicious buffet lunch at El Patron. Holy cow, their Mexican food took the cake for our favorite meal... plus we were starving, so literally... it was so, so good and we filled up! We followed our feast with a well-deserved ciesta. Later on, we drove and shopped around International Drive, ending the evening at RA Sushi with some yummy rolls! Day 5 - Animal Kingdom. 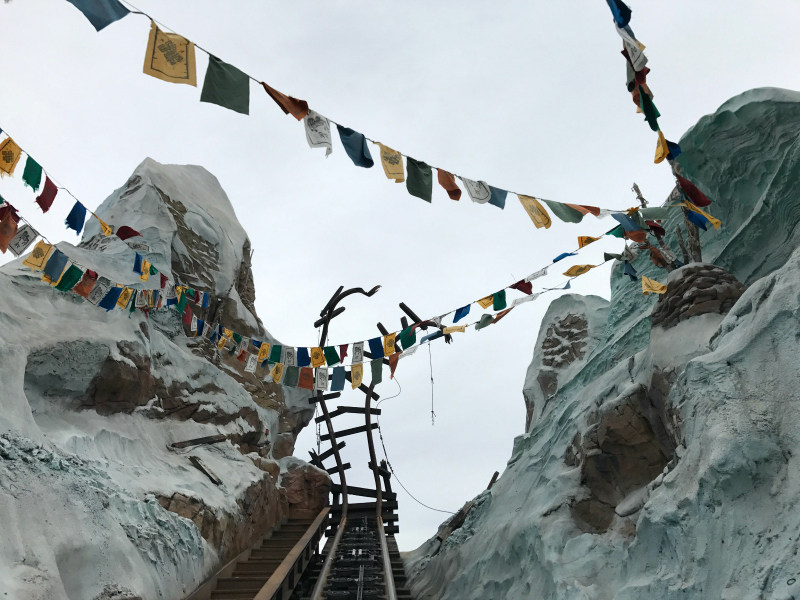 Day 5 - Top of the Everest roller coaster at Animal Kingdom. That ride was bomb! Day 6, our last full day, was spent at Sea World. 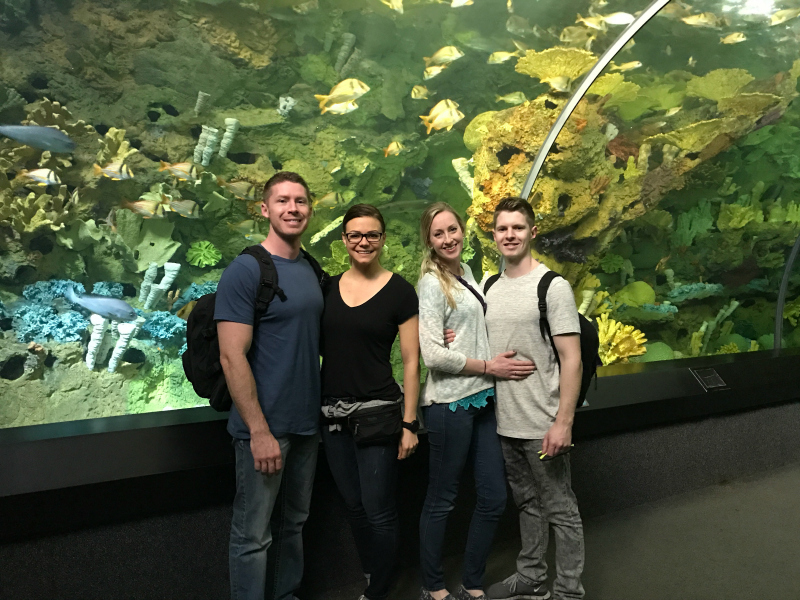 We are so grateful that Sea World offers free admission to military members, so we enjoyed most of the day with the marine life and some of my favorite rides yet. Sea World is just so different from any of the other parks we experienced. First, my FAVORITE favorite ride of the whole trip was Manta. That ride blew my mind and was just an absolute thrill. My second favorite ride was Maco, which claims to be Orlando's tallest, fastest and longest coaster. It was pretty darn fun. We also watched the Clyde and Seamore Sea Lion High show, walked through all the aquariums and exhibits, and visited every bit of the park. 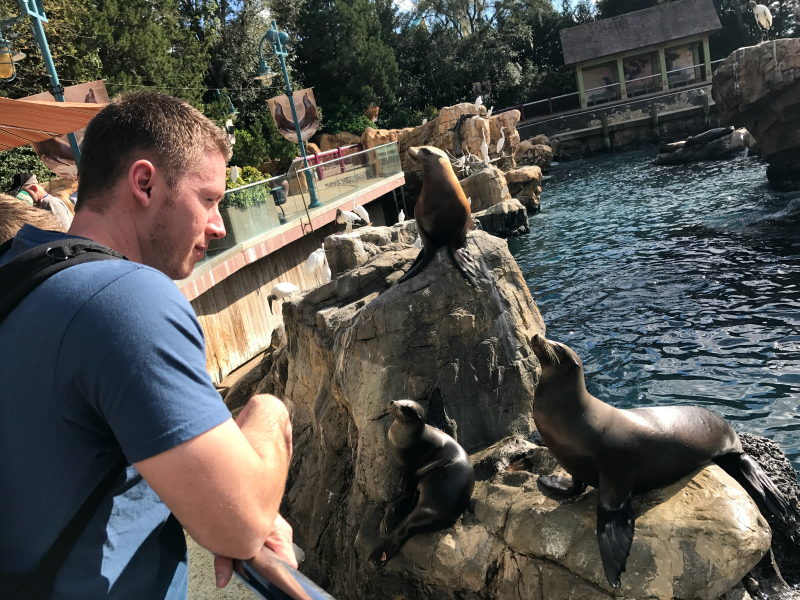 While we had only intended on staying for the morning, we ended up spending a good majority of the day there, spending the longest time with the seals. Around dinner time, we departed the park and headed straight to BJ's for some deep dish pizza, wings, chicken, and laughs. It was the perfect way to cap off an excellent vacation. Day 6 - Inside the Shark Encounter at Sea World. Day 6 - Petting brown-banded bamboo sharks at Sea World. Day 6 - The Sea World seals were so full of personality. Day 6 - Sea World at Christmas... thank you to Sea World for offering free admission to military members! Sunday, as we boarded the plane to go home, you could say we were ready to get back to the daily grind, but gosh—we didn't want to leave the sunshine! To go theme-parking from sun-up to sun-down each day was pretty exhausting, but it was so worth it. All-in-all, we had six full days of theme-parking, laughs, delicious food, and memories that will last a lifetime. 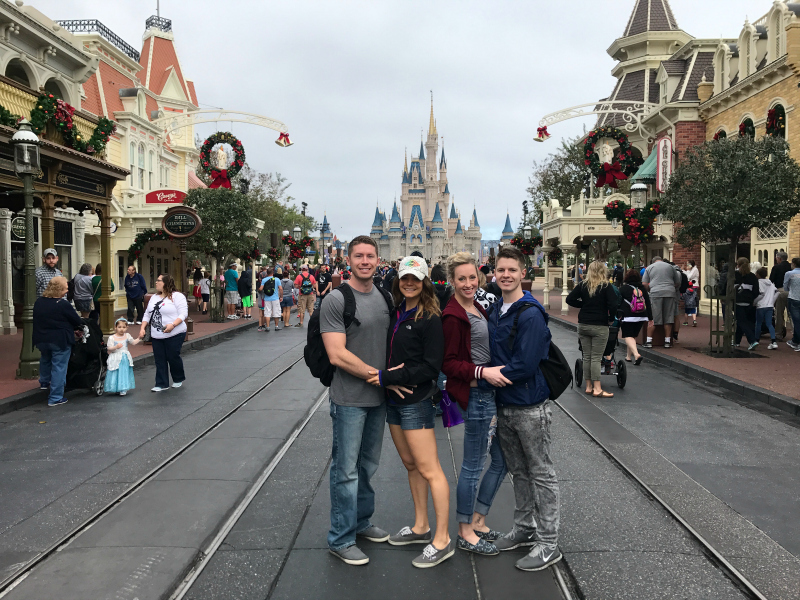 For an on-a-whim trip, we were so surprised that we were able to do it without breaking the bank! I mean, Daniel asked me about the trip maybe three weeks before we boarded the plane. What was intended as a surprise anniversary trip turned into a getaway that I couldn't have planned better if I had started hashing it out months in advance. 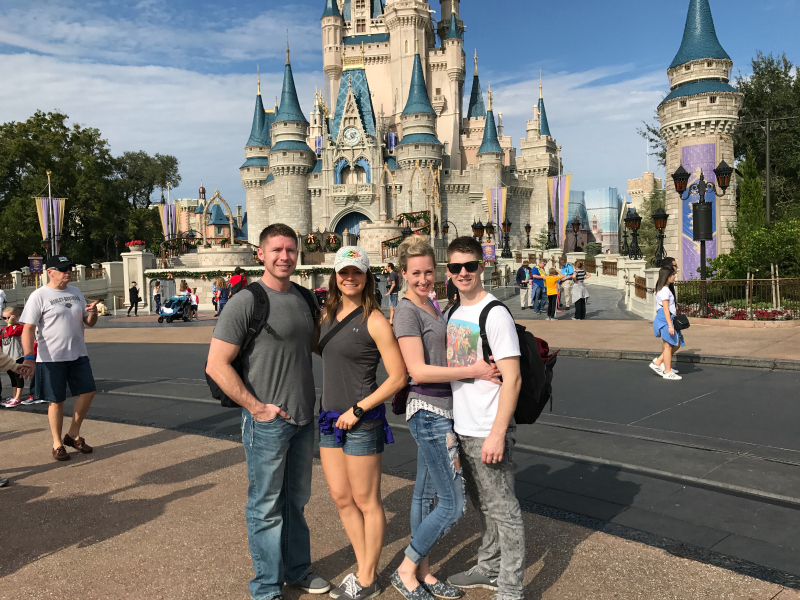 Plus, we got to spend the entire week with my brother-in-law and his wife, so it was a trip that we all enjoyed together! Trust me... the memories are good ones already. And like everyone said, mid-December truly was the best time to go theme-parking in Orlando. With the sunny and mild weather (60's-70's), low wait times for almost every ride, and lack of overwhelming crowds, we felt like we had the parks to ourselves and a vacation that truly was—for once—a VACATION!